Around 10 startups pitched their ideas in today’s Pitch Day for funding which is being arranged from within the Jain community. 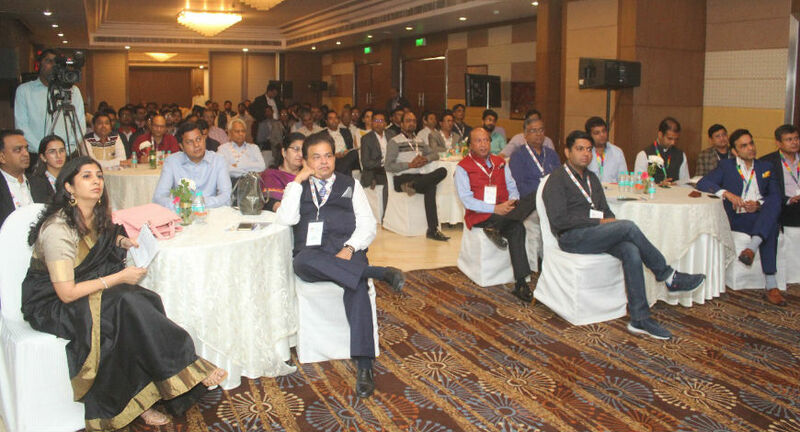 In its endeavour to support startups from within the community, the enterprising Jain community held its second ‘Investor Pitch Day’ for start-ups to fund and hand-hold the young entrepreneurs in Delhi today. The community has already been opening a number of incubation centers across major cities in the country to help and nurture these startups. The first such centre opened in Mumbai in September 2017 and other metros will be covered shortly. The Pitch Day was organised under the aegis of JITO (Jain International Trade Organisation). JITO is the single largest organization of prominent Jain businessmen, industrialists and professionals in the country. “We see the youth as the leaders of tomorrow and it is important to since we have a vision to shape the future of the country, we must help and support these youngsters and their business ideas as it can help shape the important business scenario in the country in future. Today’s pitch round will be followed up with actual funding and a lot of hand holding by experienced Jain industrialists and professionals in various fields,” said Mr Narendra Shyamsukha, Chairman JITO Incubation and Innovation Foundation and Founder Chairman, ICA Edu Skills. Overwhelming enthusiasm and hectic activity marked the Pitch Day in which there were prominent people from the Indian start-up ecosystem world like Ms Padmaja Ruparel -President, Indian Angel Network, Mr Praveen Sinha – Founder, Jabong, Ms Ankita Sancheti - Founder, Parksnap and Mr Aditya Chaturvedi – Co-Founder Clovia and Partner Saesif Fund. They were part of the fire side chat discussing New Playground for Investing and Entrepreneurial Pursuit by Jain Investors/Entrepreneurs. “Today we looked at how the young businessmen will scale their ventures and how they will be able to solve any of the consumers problems in an innovative way. 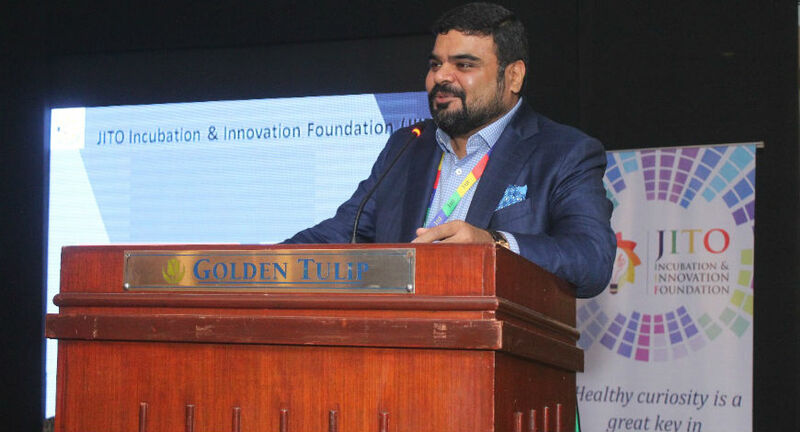 We went through some of the very bright business ideas and will finalise the investment very soon,” said Mr. Anil Jain, Director In-charge, JITO Incubation and Innovation Foundation (JIIF), & Founding Chairman, Refex Group of Companies. This Pitch Day comes close on the heels with the first one which was organized in Mumbai where 7 startups participated and close to USD 3 million investment was considered by the JITO Angel Network, a group of Jain investors. About USD 1 million of investment has already been closed between two startups- Zophop and Onn Bikes. Discussions are in final stages for the investment in the other five participating startups. Many of these and other startups will be housed in the incubation centres being set up by JITO. The incubation centre that has been set up by JITO in Mumbai is spread over 8500 sq ft and has a capacity of 100+ seats and will offer shared support services like HR, legal, IT and accounts and ready market for implementation as per eligibility. It is located at Business Square at Solitaire Park, Chakala, Andheri East. The building where this centre has been set up has been given rent free by the Cello Group. JITO, is a unique multi-stakeholder community of visionary Jain's who share the commitment to shape the future of the country, especially by working with the younger generation. JITO has 10 administrative zones, 61 chapters, and 37 units. The swelling membership of the organization is nearing 6,000 now.